In interviews, Gareth Edwards has repeatedly stated that he used Jaws as his template when it came to deciding how much screentime Godzilla should receive, and that definitely shows. The titular monster is used so sparingly that every single moment he’s onscreen is legitimately awe-inspiring. But Jaws also had great, deeply realized characters who managed to outshine the film’s monster in every single way, and if you’re going to use Jaws as your inspiration that’s a pretty important detail to leave out. Here, everyone just sort of stands around with their hands in their pockets discussing what an unstoppable force of nature Godzilla represents. None of the film’s main characters have any personality, any motivation, or any real agency whatsoever. What I’d have loved to have seen is something along the lines of 2012’s The Impossible, which told the real-life story of a vacationing family who gets separated as a result of the devastating 2004 tsunami in Thailand. Each member of the family in that film, even the children, played an integral and indispensable role in their struggle–you can’t help but become completely invested in seeing them reunited. It’s easily one of the best human-level disaster films I’ve ever seen, and it seems like it would’ve been so easy to just take that same formula and substitute kaiju for tsunami. I only bring up The Impossible because Godzilla is in almost every way its exact polar opposite. Here we also see a family separated in the wake of a major disaster, but they all just sort of do other things while they wait around for the script to drop them in front of each other again. See Aaron Taylor-Johnson as bland soldier guy who’s separated from his wife and son but who doesn’t really seem to mind. See Ken Watanabe as a Japanese scientist who gets to do absolutely nothing beyond periodically reiterating that Godzilla is an unstoppable force of nature–like if The Impossible had featured a tsunami expert who popped up now and then to remind the audience that water was wet. See Elizabeth Olson glance occasionally at television broadcasts of the destruction while she waits for her soldier husband to eventually meander back. See television’s Bryan Cranston as misleading trailer bait. These are all actors which range from capable to fantastic, but the script does a pretty great job of making that point entirely moot. The film clearly wants the audience to think that it’s all about what happens to everyday people in the wake of a kaiju attack, but then instead spends much of its two hour runtime following the military, which is the most boring choice that could have possibly been made. In a disaster such as this, the least interesting thing you could do is shift the focus to those best equipped to handle it. Other than completely neglecting to give anyone a reason to care about the people caught up in said disaster, Godzilla is a reasonably competent disaster film. If you just want to see stuff get smashed, the movie does deliver on that front. The effects are great, both in terms of the monsters and in showcasing some of the most spectacularly leveled cities I’ve ever seen in a movie. Godzilla’s own motivations are a bit murky and would be completely baffling if not for the occasional bit of exposition where someone (usually Ken Watanabe, naturally) just sort of spells it out. Godzilla, as the old saying goes, works in mysterious ways. The King of the Monsters has been many things throughout the lengthy lifespan of the character, everything from nature’s revenge for atomic warfare to a helpful superhero protecting Japan from other, weirder, monsters. This entry into the canon seems to take a slightly more ambivalent approach, until it doesn’t, and then the results are a little eye-rolling. 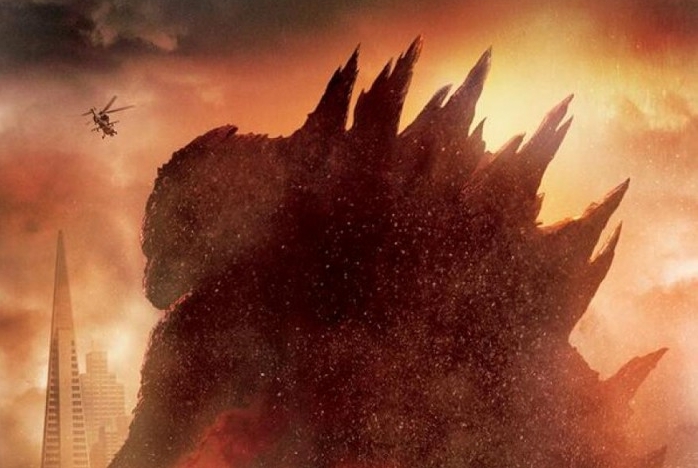 As I said before, Godzilla isn’t a terrible movie, just one that makes a lot of confusing choices and then doesn’t really deliver on any of them. Just leave your expectations (literally all of them) at the door. Posted on May 22, 2014, in Movies, Opinion, Reviews and tagged Gareth Edwards, Godzilla, Godzilla 2014, Gojira, Kaiju. Bookmark the permalink. Leave a comment.